1. Create Command Prompt shortcut. 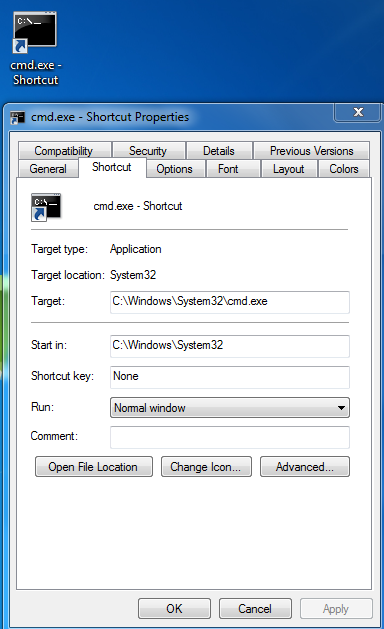 2.Right click on Command Prompt shortcut and select properties and then select Advanced button on the Shortcut tab. 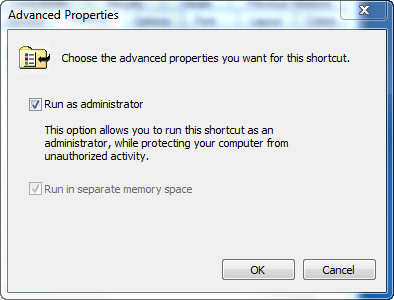 3.Select the Run as administrator box and click Ok button.And then click OK button in Properties windows button. If you’re a frequent Command Prompt user,then this will help you to save your time. Go to Start->All Programs->Accessories.And right click on Command Prompt and choose Run as administrator.